Parents spend a lot of time childproofing the environment for their children. This is because children don't know what they don't know about the world. The same principle applies to parents. Most parents don't know what they don't know about how to be a great parent. Some have no clue how to respond when their kids act out, need help with something, or need attention at an inconvenient time. 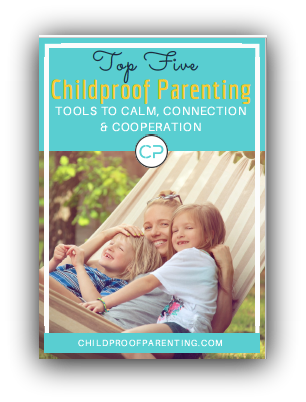 The Childproof Parent introduces five EASY responses that fit any situation for any age child - really! This book reminds parents that BEING YOURSELF is the best gift you can give your children. Not just for parents, this book is perfect for step-parents, grandparents, aunts, uncles, or anyone who has children in their life.